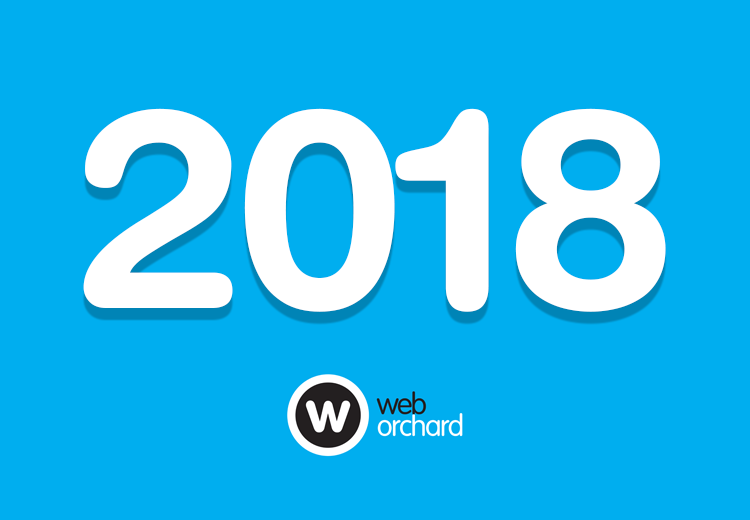 Well, what an exciting year of business growth and development – 2018 certainly exceeded our expectations! Throughout the year we were very fortunate to work with great clients, both old and new, helping them further develop their businesses online. From developing complex e-commerce websites through to business app development, our digital team rose to the challenge with exceptional results. Below are some of our achievements in 2018. Further to the rebranding of the business from Best Food Logistics to Bidvest, we had the pleasure of working with the team to design and build a new website for the organisation. Showcasing key messages and reinforcing the business offering, this bright, fresh and engaging website has received some excellent feedback. To view our work, please click here. An International is a charity that creates opportunities for young people and communities in Zambia, Build It wanted to increase the reach and impact of their brand, whilst creating greater engagement with their website. The team at The Web Orchard were more than willing to assist. To view our work, please click here. Requiring a new and dynamic website that would allow greater communication and information sharing with their audiences, GKN Wheels & Structures approached The Web Orchard for help. Satisfying the brief, an engaging, content rich website that was easy to navigate was delivered. To see this website, please click here. Traditionally providing a paper-based annual report, Housing Plus Group wanted to publish the documentation online in a creative, interactive way. Increasing accessibility and potential reach of the information, Housing Plus Group needed assistance in creating the overall concept for an engaging web-based presentation of information. The end solution that we delivered, ticked all of the boxes. To view our work, please click here. Innovise is a leading provider of software solutions within the Global Facilities Management sector. As part of their communications strategy they needed partner to enable them to develop and manage their online and social media presence. Innovise selected Information Solutions. Re-designing Innovise Software’s existing website The Web Orchard were tasked with designing a site that would streamline complex messaging and to enable more effective audience targeting. To see our work please click here. Requiring a new e-commerce website that would be scalable with future business growth, Kwik-Fit turned to The Web Orchard for assistance. Developing an intuitive site that effectively presents their portfolio of products and supports online sales, the final website design was very well received. To view this website, please click here. Tasked with developing an online module that would support the pre-purchase of 3D printed models, the team at The Web Orchard worked closely with Ricoh to design a solution that would offer the organisation the innovation and functionality that they were after. Satisfying all of the objectives laid out in the brief, Ricoh were delighted with the result. To see our work, please click here. Injecting a dose of fresh design and improved navigation, The Web Orchard helped Shropshire Design and Rescue to better communicate with their audience via re-design of their existing website. Aiming to increase engagement and improve the user-experience, the new website is achieving all of this and more. To see our work, please click here. Satisfying the brief from Stagecraft that specified a new website that would support the online quotation function for the business, The Web Orchard designed and delivered a dynamic, product focused site. Bright, engaging design coupled with clear navigation now allows online customers to quickly find and enquire on products with ease. To view this website, please click here.